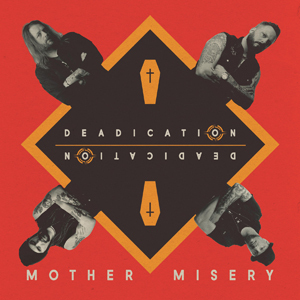 With their new album "Standing Alone" MOTHER MISERY introduces you to another world. A world of supersonic rock with a modern direction that draws your mind into a mix of Audioslave, Foo Fighters, Drowning Pool, Mustasch etc. The 11 track album is filled to the rim with heavy guitars and thunder bass that will knock you off your seat and the strong in-your-face vocals produce strong powerful melodies with the attitude of a highspeed desert deathrace. Standing Alone will set a remaining mark in the heavy rock and metal soil of 2011,,, with a start right NOW !! 666 - Grym platta från ett band som alltid levererar! !